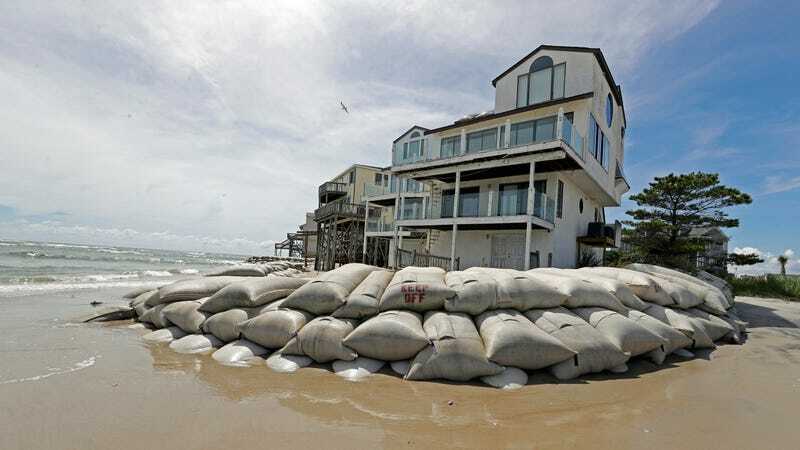 A home in North Topsail Beach, North Carolina, surrounded by sandbags before Hurricane Florence on September 12th, 2018. 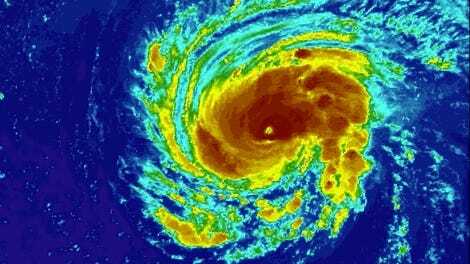 Authorities are warning coastal residents in the path of Hurricane Florence to evacuate now or be at the mercy of the Category 3 storm, which is expected to slow upon hitting the coast of the Carolinas on Thursday and ravage the region with storm surge, rainfall, and flooding. Accuweather reported that its meteorologists “believe that the hurricane will stall and meander near the Carolina coast from Thursday night to Saturday.” That means locals and their property could be punished with severe hurricane conditions for days, not hours. “Total innundation” is expected in eastern and southeastern North Carolina, as well as northern South Carolina, and the storm surge could reach in “excess of 10 feet in some areas,” Accuweather added. Isolated tornadoes could also occur along North Carolina’s coast on Thursday, according to the National Weather Service in Wilmington.